Project cars are fun. We wanted one of our own, so we went out and got one. Of course, we since we have an undying love for all things longroof, we knew we needed a wagon. 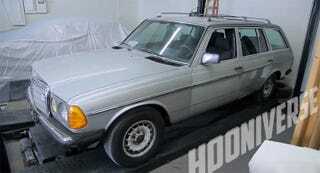 Enter the W123-generation Mercedes-Benz 300TD.